Scientists love Nounspeak. Anyone hearing them joust with their mother tongue must lament the change of standards since the Royal Society took as its motto, Nulla in Verba, more than 300 years ago. Bureaucrats also love Nounspeak. Certainly the military loves Nounspeak. Would you ever guess that target neutralization requirement means `the desired dead’? Or that airplane delivery systems might mean `bombs’? Here’s the National Academy of Science discussing military research: “Work has included development of empirical and rational formulae for aerosal survival, formulae for predicting human lethal dose, and quantification of disease severity.” (They’re talking about germs and poisonous gases.) And most of all the “soft sciences,” such as psychology, education, sociology and anthropology, love Nounspeak. A prize of some sardonic sort ought to be presented to the behaviorist quoted in Science Digest who concocted place for goods purchase. It takes a minute to realize he’s thinking about `stores.’ The pattern is that people with little to say turn to Nounspeak for pompous packaging, while those with something unsavory to say find friendly camouflage in Nounspeak’s abstractions and opacities. Who can forget body count? At a glance Nounspeak might seem a natural development, like the disappearance of the distinction between who and whom or the evolution of a slang word into polite speech, but it is only natural in the sense that foods such as breakfast cereals are a “natural” development in modern society. Normally, a language is shaped by the intellectual writers at the top and the great mass of not-so-intellectual speakers at the bottom. But Nounspeak, like breakfast cereals, is largely an artificial imposition, perpetrated by that growing multitude in the middle with from one to four years of college. Not at all restrained by any sense of educational deficiency, this multitude talks to dazzle its own ears. And to hell with Sir Quiller-Couch. There may be a metaphysical dimension here. People often have the sensation that they aren’t being heard. So they keep lumping noun on noun, as though by saying the same thing two or three times, they’ll be understood across the existential void. Can you think of another reason for Newsweek’s startling duo, inlet cove? (One can hardly find two more perfectly synonymous words in English. So why use both?) And rain postponement dates recently appeared on a sign in the subway in New York City. Nouns must comfort with their solidity. They seem to pin matters down, to freeze life, to ward off future shock. But it’s largely a sham. Life is flux and process. Verbs are truer to this constant change; and expert stylists have always recommended reliance on verbs. Listen to Gertrude Stein railing against nouns in “Lectures in America”: “Things once they are named the name does not go on doing anything to them and so why write in nouns…. 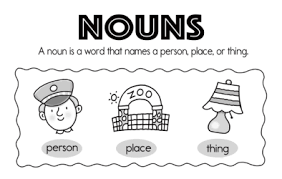 And therefore and I say it again more and more one does not use nouns…. Nouns as I say even by definition are completely not interesting.” And Gertrude Stein was speaking about nouns in meager doses, not the excesses here labeled Nounspeak. A second technique for subverting English into Nounspeak requires changing strong, aggressive verbs into weak nouns. We control pests in English. We accomplish pest control is Nounspeak. It’s hard to see any good reason for this device. But many variations can be found in the press. The idea is to smash those verbs. Mothers don’t feed infants, they practice infant feeding; teachers don’t educate any more, they work at student education; politicians don’t appeal to voters, they have voter appeal; readers don’t respond, they show reader response. A third technique diminishes clarity by disdaining the possessive ‘s or of. “Nixon had this to say about the Agnew criticism….” Heard on the radio, there is no way of knowing whether Agnew was criticized or criticizing, except by context. Paradigmatically, “B’s A” and “A of B” are being changed wholesale into “BA.” Thus rate of change, which is smooth and flows easily into the brain, becomes change rate, which is “clunk-clunk” English and hard to digest. In the years ahead English will depend much more heavily on nouns than Gertrude Stein might like. But it’s reasonable to ask that our writers and editors steer us away from Nounspeak’s worst excesses. We’ll know the tide has turned when the IRS whittles its Tax Schedule Rate Chart down to Tax Rate Chart, then to the very sensible Tax Chart, then–unlikely victory–to Taxes, which is what they were trying to say all along.